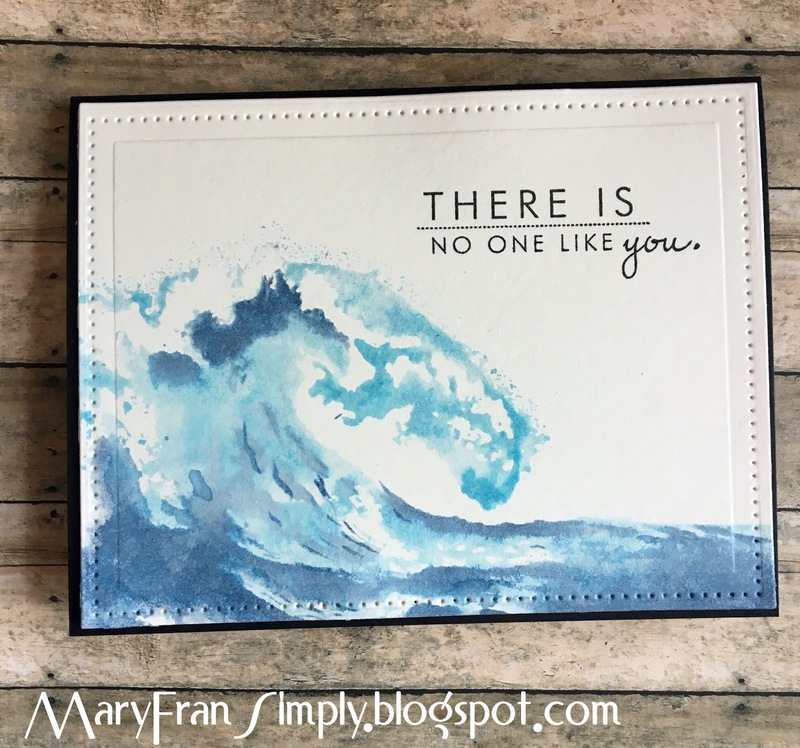 I'm playing along with the Simon Says Stamp Wednesday Challenge. I just received this stamp from 'The Ton' and couldn't wait to use it. However, that being said, it had a huge learning curve for me. I'm sure it's operator error, but I couldn't get the colors right for what I saw in my head until I'd used every shade of blue in my stash. I finally settled on distress ink and a distress stain. I stamped with Tumbled Glass Distress Stain for the first layer - no spritzing just really wet stain with the dauber. For the second layer I used Distress Ink Stormy Skies and spritzed it with water before stamping. For the third layer I used Distress Ink Stormy Skies again and this time no water spritzing. 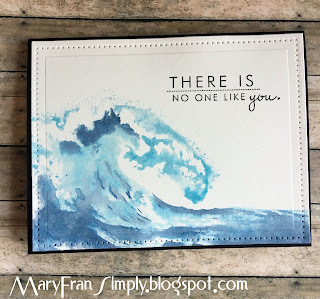 Once it was dry I die cut the watercolor panel, then stamped the sentiment, and mounted it on a black cardstock base. Supplies listed below.